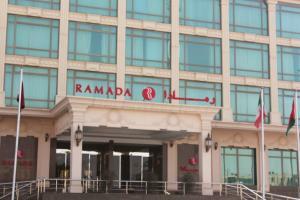 Ramada Riyadh is situated close to King Abdul Aziz Road, in the ministries area of south Riyadh. This 5-star hotel offers deluxe accommodation with LCD TVs, free internet access, and great facilities. All of the guest rooms are spacious and decorated in a contemporary style. Each room includes a seating area, satellite channels and internet connection. There is an on-site café and the hotel’s restaurant is also open for lunch and dinner, serving international cuisine. 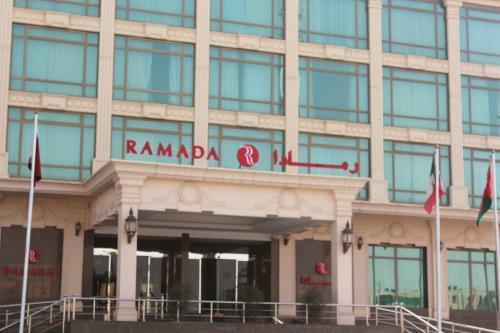 Leisure facilities at Ramada Riyadh include an outdoor swimming pool and a modern fitness centre. Featuring a city and pool view, this air-conditioned room offers a satellite TV, a minibar and wardrobe. The bathroom is fitted with a bath or shower, free toiletries and hairdryer. Includes breakfast, a flat-screen satellite TV, sitting area, safety deposit box and a DVD player. The bathroom is fitted with a bathtub and standard toiletries. This spacious, air-conditioned suite offers a master king room with and an en-suite bathroom, a spacious living room complete with a dining area. It also has a connected king room with an en-suite bathroom.